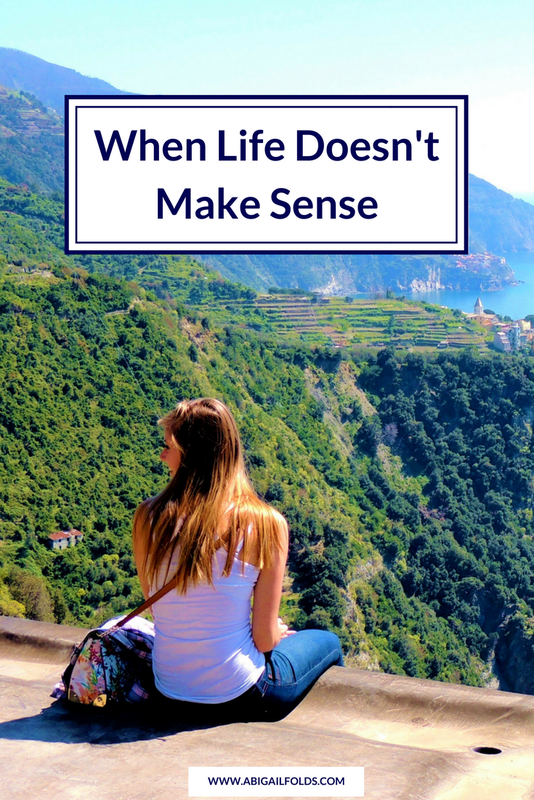 Have you ever had a time in your life when things just didn’t make sense? Like you thought you were headed in one direction, but then the door slammed in your face and you couldn’t understand why? Or you thought a situation would work out one way, but it ended up working out a completely different way? I know I sure have. In fact, I’ve had quite a few times in my life when that’s happened to me. One thing I had to learn is that appearances can be deceiving. What appeared to be a “random twist of events” was actually God working behind the scenes. What looked like “the end of life as I knew it” was actually the beginning of a new adventure with Him. And you know what else? Feelings can be deceptive, too. When I felt hopeless, I actually wasn’t without hope (because we are never, ever, ever without hope when we have Christ!). When I felt stuck, I was actually on the verge of a breakthrough. When I felt let down and angry, I was only feeling that way because God didn’t meet my expectations, but each time I felt let down, angry, forgotten by Him, etc. - each time He came along and blew all of my expectations away with something more amazing and wonderful than what I had originally imagined on my own. As I shared in my letter last week, God is bigger than we let Him be. When life doesn’t make sense, it’s because He’s about to do something completely unexpected. He’s about to show us a new aspect of His character, to give us a new experience with Him, to give us something we didn’t even know we needed, to set us up for a breakthrough, to get us ready for a new season we didn’t even see coming. He’s working things out for your ultimate good. He’s working things out for His ultimate glory. Ruth 1-4 - I’m sure life didn’t make sense for poor Naomi when her husband and sons died, and she had to return to her homeland feeling bitter and forgotten by God. As a Moabite, her daughter-in-law Ruth, who decided to go with her, probably had to endure her fair share of gossip and side-eyes from the Israelite women all while adjusting to a new culture and way of life. Esther 1-10 - Life undoubtedly didn’t make a lot of sense for Esther when she was taken from her home, put through a year-long beauty program she didn’t enroll in, and then “given” a night with the king, only to soon after learn that her own people were about to be wiped out and she would have to risk her own life to save them. John 11:1-44 - Life made zero sense for Mary and Martha when Jesus allowed their brother Lazarus to die when He could’ve totally saved him. Jesus’ seemingly careless attitude throughout this story threw everyone off, including his disciples, but Jesus knew that in order to bring God the ultimate glory, Lazarus had to die so that he could be miraculously brought back to life for all to see. Also see: the stories of Abraham and Sarah, Joseph, Daniel... basically just open the Bible and pick a story! In comparison with these Biblical stories, my life situations seem rather small and insignificant, and yet I remind myself that God’s ultimate glory in any situation is never a small or insignificant matter. I hope this encouraged you today! This blog post was originally a letter that I sent out to my online community. I send out encouraging letters and devotionals like this every week, along with free resources and lots of love and prayers! If this sounds amazing and you’d like to be in on all the goodness, then sign up below and you'll automatically receive my free journal guide sent straight to your inbox. Newer PostAre You Ready to Pursue Your Calling?